We’ve since expanded the project, working with youth in Pretoria, South Africa, a Burmese refugee camp in Thailand, and the town of Gros Monde in northern Haiti. What’s next? Project Einstein Guatemala, in partnership with longtime friend of Digital Democracy Emma Hulse and local organization Proyecto de Desarrollo Santiago (PRODESSA). Last week, we sent cameras to Emma in Guatemala City, who is leaving soon for an isolated region of Guatemala known as the Zona Reyna. In the Zona Reyna, she’ll be working with indigenous women’s groups for the next few months on literacy projects. Additionally, she’ll be using the cameras and Project Einstein curriculum to do a two-month long photo project with youth in the community. Located in the mountains of Quiché, the Zona Reyna symbolizes the complex opportunities and challenges that face Guatemala. 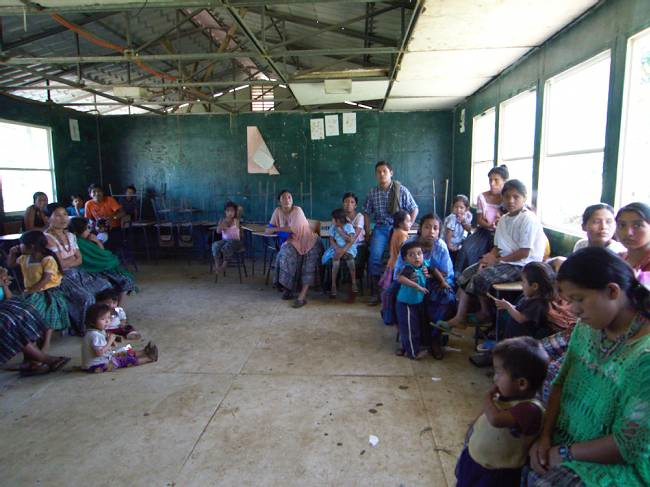 Culturally rich and resource poor, the majority of the 94 communities in the Zone were first settled by Q´eqchi´ Mayans fleeing violence in the neighboring Verapaces during Guatemala´s brutal civil war. Today, the geographic isolation that once provided shelter instead perpetuates poverty. Residents lack access to essential social services and economic infrastructure is limited. Yet the Zona Reyna is also characterized by vibrant community, a wealth of tradition and a growing population of educated young people. Challenging these inequalities requires developing communication tools that can overcome barriers of language and distance while building upon the community´s resources. Project Einstein Guatemala seeks to provide these tools by training youth to use photography and new media to tell the story of their community. Photos will be exhibited both online and in the community at the conclusion of the project. Depending on student interest, Emma will also work with participants to explore how available technology could be used to establish exchanges between students in Lancetillo, young people elsewhere in Guatemala, and Latino youth in the United States, using the Roebling platform that Digital Democracy has developed for our digital penpal programs.